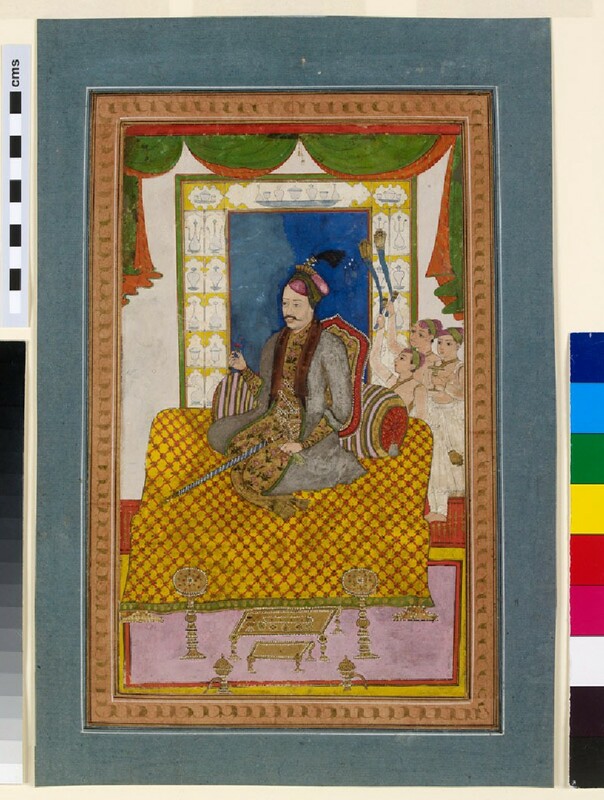 Sultan ‘Abdullah Qutubshah (1626-1672) was an ineffectual ruler but an active patron of art, poetry and music. Seated at his ease within a chamber, he is fanned by his youthful attendants. Bequeathed by Christopher T. Gandy, 2012.